Robert Ballard was born in 1942. From an early age, he loved the sea. Ballard grew up in Southern California. He spent his free time at the beach near his home. He enjoyed fishing and swimming. He even learned to dive. When Ballard wasn't at the ocean, he loved reading about it. At age 10, he read Twenty Thousand Leagues Under the Sea, a book which describes the undersea adventures of Captain Nemo. Ballard decided he wanted to be like Captain Nemo when he grew up. His parents helped him follow his dream. Ballard was a hardworking student. He spent many years learning all he could about the ocean. By the age of 28, he was an expert. In 1970,he took a job as a scientist at Woods Hole Oceanographic Institute in Massachusetts. There he studied underwater mountains of the Atlantic Ocean. He came up with ways to predict volcanoes under the oceans. Working with other scientists, Ballard also found previously unknown sea animals. These animals lived far below the ocean' s surface,where scientists had believed no animals could live. By the 1980s, Ballard' s interests changed. He developed unmanned vehicles to explore the ocean bottom. His first find, the well­known ship Titanic, made Ballard famous. He was not happy with just one big find, however.He looked for-and found-other well­known ships. One was the German battleship Bismarck. Another was the USS. Yorktown,an aircraft carrier (航空母舰) that sank during World War Ⅱ. Today Robert Ballard is still an underwater explorer. He also heads anization that encourages students to learn about science. Ballard hopes that some of the students will follow in his footsteps. After all, the world's huge oceans are mostly unknown. Who knows what remains to be discovered under the sea? 1.What was Ballard's dream when he was young? A.To be a science teacher. B.To be a famous writer. C.To be an animal expert. 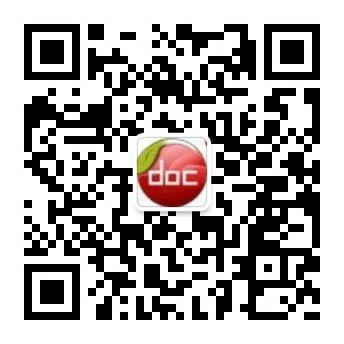 D.To be an underw 内容来自淘豆网www.taodocs.com转载请标明出处. 仁爱英语八年级下册Unit 6 Topic 1 Section..
仁爱英语八年级上册Unit 1 Topic 1 Section..
仁爱版八年级英语下册Unit 6 Topic 1 Secti..